deputy commissioner of licensing, attempted to clarify the definition. Instead, the new owner is granted a renewable 90-day temporary license until a decision is reached by the Community Board and State Liquor Authority on the application for a permanent license. Ian Duncan Tuesday night’s meeting at P.S. 20 lasted about three hours. Previously, the board had considered transfers distinctly from new applications. The board’s Web site listed only basic details, but Mr. Crane said members had been operating on the basis of “tacit” conventions. 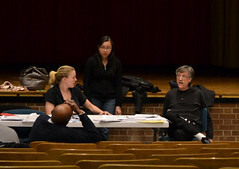 No other Manhattan community board had separate procedures for transfers, with the exception of Community Board 1 – which encompases the TriBeCa and the Financial District and has its own guidelines. At a meeting last week, that grandfather clause had been considerably strengthened. The Board’s State Liquor Authority committee voted to change the wording of the draft policy so that the license would effectively have been attached to the business location, and giving the committee fewer opportunities to review the transfer. 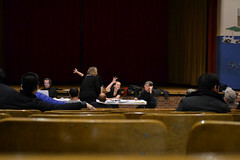 An amendment proposed by Mr. Crane passed at Tuesday’s full board meeting undid that revision.